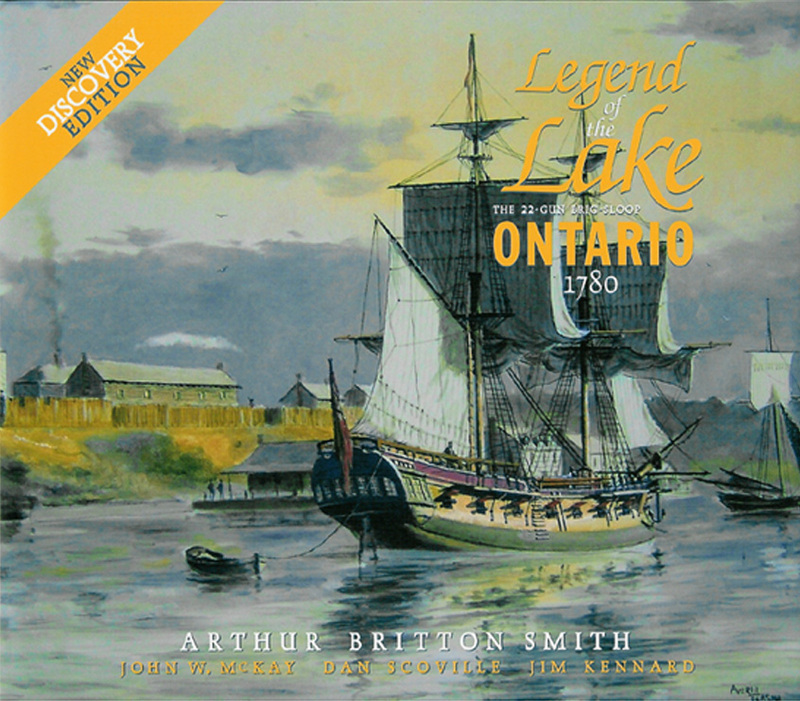 A mid 1800’s Canadian schooner has been discovered in deep water off the southern shore of Lake Ontario near Sodus Point, New York. Side scan sonar image of shipwrecked schooner. Winch with Anchor Chain mounted on uplifted Bow Deck. View portion of the ship's hold and hole in the deck for the foremast. Broken portion of the Schooner starboard rail. Main Mast Crosstree of mid 1800's shipwrecked schooner. Rudder of the shipwrecked schooner. Sodus Point, New York – A mid 1800’s schooner has been discovered in deep water off the southern shore of Lake Ontario near Sodus Point, New York. Shipwreck enthusiasts Jim Kennard, Dan Scoville, and Chip Stevens located the old schooner utilizing sophisticated side scanning sonar equipment. In the very early morning hours of May 8, 1858, the Canadian schooner Orcadian travelling east to Oswego, New York collided with the schooner Lucy J. Latham that was headed in the opposite direction for the Welland Canal. The Orcadian had departed Bayfield, Ontario, on the Canadian shore of Lake Huron, with a cargo of 8200 bushels of wheat destined for Oswego. The Lucy J. Latham cleared the port of Oswego early in the evening with a full load of 800 barrels of Onondaga salt bound for Chicago. At 3 AM, while performing tacking maneuvers, the Lucy J. Latham collided with and stove in the side of the Orcadian. The accident was reported to have occurred approximately 8 to 10 miles off Big Sodus Bay, near the port of Sodus Point, New York. The Orcadian took on a great amount of water from the large gap in the side of her hull created by the collision and began to sink immediately. While going down, the main mast of the Orcadian caught on the jib boom of the Latham. The bow of the Lucy J. Latham was drawn under water, while her keel at the stern was raised 10 to 12 feet out of the water. For a short period of time the Latham sustained the immense weight of the sinking schooner until finally it was relieved by the giving way of her bowsprit, jib-boom, and fore top mast, all being carried under by the Orcadian. Within less than 10 minutes the Orcadian sank in deep water, with its cargo of wheat. Captain James Corrigal, his wife, their two children and the crew took to their yawl boat and were taken safely aboard the Latham, which then put about and returned to Oswego. 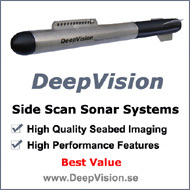 The discovery of the schooner was made in 2006 by utilizing sophisticated side scan sonar technology. The sonar imagery clearly showed that of a damaged sailing ship with its two masts lying nearby. This information was good initial confirmation that the sunken ship might be the schooner Orcadian. The shipwrecked schooner was found in very deep water, well beyond the limits (135 feet) for recreational SCUBA divers. Due to the depth limitations for safe diving, the shipwreck explorers were unable to view their discovery that season. The team waited until this year to utilize a new remote operated vehicle with deep dive capability, developed by Scoville, to do the actual underwater exploration and to further confirm the identity of the ship. In the deep depth where this shipwreck lies there is no visible light to help illuminate the ship. 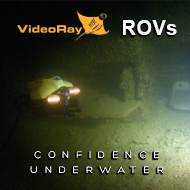 A remote operated vehicle with on board cameras and high intensity lighting was deployed to bring back images of the sunken shipwreck. The schooner was found to be sitting upright on the bottom. The ship is entirely encrusted with zebra and/or quadra mussels. This ship sustained a considerable amount of damage in the collision and is broken up with pieces of the decking either missing or scattered around the wreck site area. Much of the schooner’s forward and mid deck sections are missing leaving an open area into the hold of the ship, now filled with silt. The cargo of wheat may have floated away when this area of the deck was ripped off the ship as she sank or may have rotted away. The main and fore masts can be seen lying off to the starboard side of the schooner. The bowsprit is visible and the starboard anchor is lying on the bottom next to the bow. The port anchor came to rest over 100 ft away with anchor chain still attached to the ship. The ship’s windlass has been torn up and away from its mountings on the bow deck. Not much of the area where the cabin existed is recognizable, having been torn apart as a result of the collision. The ship’s tiller found its last position on the starboard side of the ship and the attached rudder is still visible at the stern. A few deadeyes and pulley blocks can be seen lying about in the wreckage. To search for and identify a potential shipwreck, more time is actually spent on land going though old newspapers on microfilm and conferring with shipwreck historians than on the lake searching. Ships that get caught in a storm become very broken up, the nameplate may become lost in the wreckage or the painted name on a ship can disappear over time. It is very important to do the research prior to conducting a shipwreck search, which can become very expensive, especially when chasing after a ship that may have actually been saved or salvaged later on. Once a ship is found, all efforts are made to confirm its name and history. The schooner that Jim, Dan, and Chip located did not have an observable name painted on the stern of the ship, but other clues were available to identify the vessel. This shipwreck had two masts and a tiller, thus placing the construction of this ship from the 1850’s or earlier. After this period, schooners utilized a ship’s wheel to control the rudder. The fact that this ship was so torn up confirmed that it had been in a collision. The general location was also consistent with the reporting of the collision between the two vessels. Measurements made by an Imagenex sector scanning sonar mounted on the underwater remote operated vehicle confirmed the exact dimensions as those of the Orcadian, a length of 94 ft and a beam of 20 ft. A search through the shipwreck databases provided only one possible candidate that matched the general period of time when the ship was probably built, that had the same measurements, was wrecked by collision, and that sank in the general location where the ship was found. This was the Canadian schooner "Orcadian". The Orcadian was built at St. Ours, Quebec, in 1854 by C. Richard and owned by Rae & Brothers of Hamilton, Ontario. She had a carrying capacity of 147 tons. The cargo of wheat was consigned to Clark & Gifford of Albany, New York. Jim Kennard has been diving and exploring the lakes in the northeast since 1970. He found over 200 shipwrecks in the Great Lakes, Lake Champlain, NY Finger Lakes and in the Mississippi and Ohio Rivers over the past 30 years. Using his background as an electrical engineer, he built the side scan sonar system that located these shipwrecks. In 1983 he discovered a unique horse powered ferryboat in Lake Champlain. National Geographic featured the ferryboat in their October 1989 issue. Several other of his shipwreck discoveries have been reported in various publications including Skin Diver, Inland Seas, and Sea Technology. Dan Scoville is an experienced cave and "technical" diver. He utilizes custom gas mixtures of oxygen, helium, and nitrogen to dive to depths of over 300 feet. In 2005, Dan led the development of an Underwater Remote Operated Vehicle with a team of college seniors from the Rochester Institute of Technology. He is currently the project manager and electrical engineer for the Remote Operated Vehicle product line at HydroAcoustics Inc. I am elven years old and read your article in the S.I. Advance.I believe that you should show the ship in a special way. You can make a national landmark so people can't destroy it.You can make a submairne which goes into a landing pad which drains the water so you can go into a dome around the ship that has seats all around it. There can be under-water lights all over that can show the ship and enjoy the beauty of it. There can be a show every 2 hours that tell the history of it. There can also be food stores there. If you like my ideas please reply to me at FerrettiL at ConEd.com Thank you.